iOS 11 goes live today around 10 am Pacific Time. Although the iPhone X, iPhone 8, and iPhone 8 Plus are exciting for many, they won’t change the everyday activities and workflow for everyone. However, there is a lot baked into iOS 11 itself that extends the current state of excitement around Apple to organizations in both education and the enterprise. The list of many helpful new additions to iOS 11 includes a big win for the Device Enrollment Program, Multi-Touch with drag and drop, file exploration, a new dock, updates to app switching, and an all-new Control Center, among others. Let’s go through a few of these to stay in-the-know with what’s new and noteworthy. The Device Enrollment Program (DEP) allows for organization owned Apple devices to be enrolled over-the-air for better control and visibility as well as simple, zero-touch management. Previously, only devices purchased directly from Apple, an Apple authorized reseller, or an authorized carrier could be added into DEP. 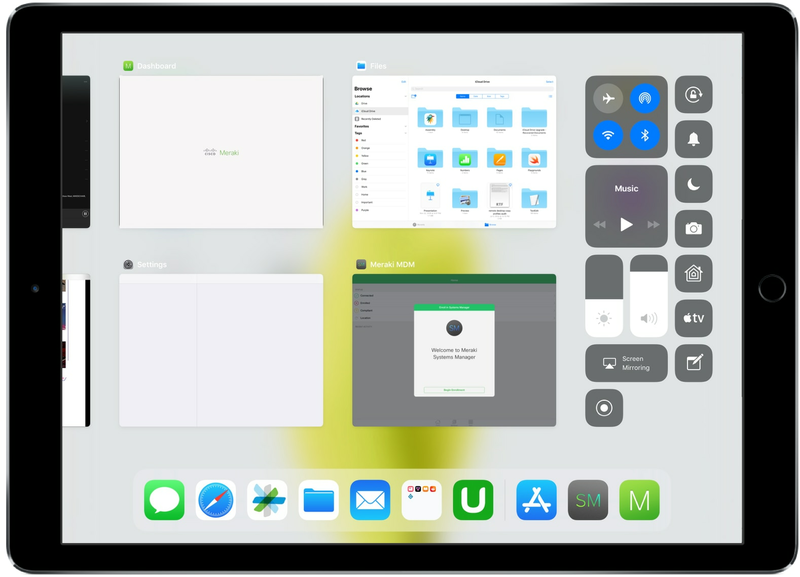 Now with iOS 11, any device will be able to be added to DEP using Apple Configurator 2.5 or later. After devices are included, they join provisionally for 30 days, during which users can opt out. This is to protect personally owned devices from unintentionally being added. Adding any device into DEP will be especially useful for businesses with multiple buying centers or entities as well as schools who have devices donated, for example. Earlier this year Apple TV was also added into DEP. So, there is now excitement around DEP for those already invested in iOS as well as those with management aspirations around Apple TV. iPad, and especially the iPad Pro, has recently become much more of a productivity powerhouse. There’s a keyboard, there’s a pencil, and there’s a lot more processing potential. Efficiency and accessibility are getting even better for iPad with iOS 11. Multi-Touch with drag and drop may seem like a small addition, but it makes a big difference in the day-to-day. Being able to split screen and drag and drop files makes a more compelling reason to use iPad for work in both business and an educational context. 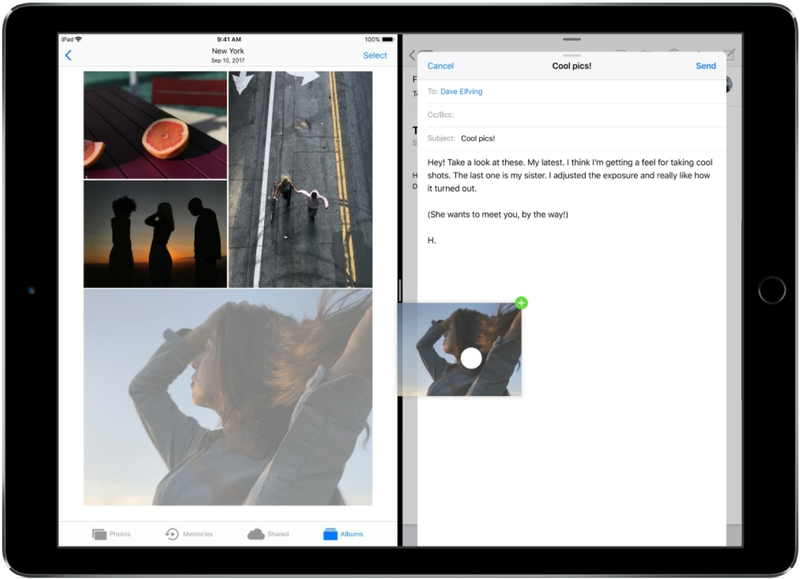 Adding attachments to an email is much smoother and quicker than it once was and even when adding photos to a blog—as I personally tested for this post with an iPad Pro—has become a better way to get work done on the go. Files is a new native app for iOS that is integrated directly into iOS 11. 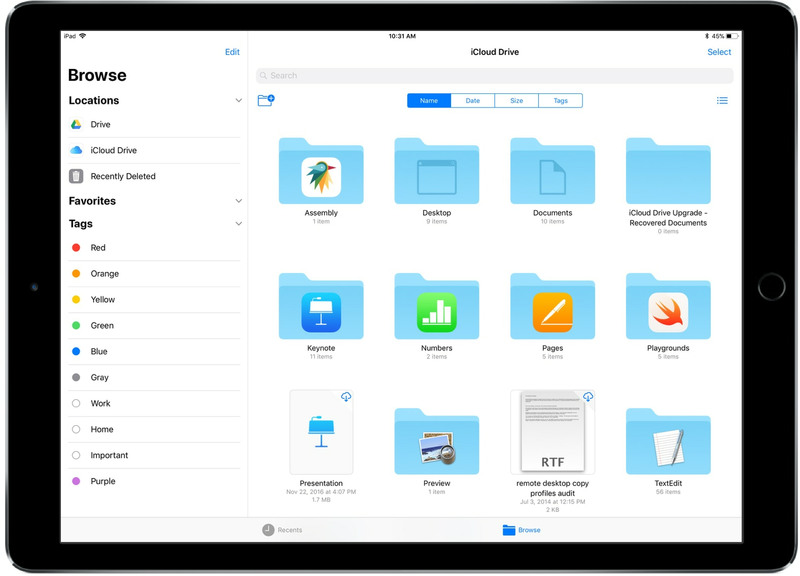 Whether searching through local files, iCloud, Box, or Google Drive users can organize, open, and delete files from the comfort of their iOS devices. Technically, this functionality was available 3rd party through the different storage services’ apps, but now it is tightly integrated into the fabric of iOS. This is a win for those used to navigating through file structures and is again focused on enabling users and enhancing productivity. Meraki recommends enforcing iOS open-in management with Systems Manager enterprise mobility management (EMM) to ensure that only authorized users can access managed content and data from managed apps and containers. Swiping up from the bottom of an iPad running iOS 11 shows the app switcher similar to the photo shown above. The new dock in this view makes switching between apps much faster and is the basic hub for multitasking on iPad. The actions seem to intentionally mirror the user experience found on macOS, and even for those not used to a Mac, they are pretty quick to pickup. Pressing F4 on a Mac shows what’s called Mission Control. A way to think of this is that the app switcher brings a similar Mission Control experience to iPad. It shows the recently used apps and offers access to the also new Control Center. Swiping up on previously used apps will clear them until they’re opened again. iOS 11 will be available for iPhone 5s and later, all current iPad Air and iPad Pro models, iPad 5th generation, iPad mini 2 and later, and the iPod touch 6th generation. For those new to Systems Manager, start an instant 30-day trial here.